While there are common tactics inherent in good patient engagement, any health organization must realize that patient populations are inevitably diverse. It can be difficult to make generalizations about any patient population, which is why it falls to hospitals and other care facilities to account for the differences in technological comfort and willingness to engage. Any patient population is bound to have outliers, but individuals can be identified as one of four distinct archetypes. “Homesteaders” are traditionalists that aren’t likely to go out of their way to adopt engagement technology—so finding a non-technological method for interacting with them may be necessary. “Prospectors” are a little more adventurous, often adopting technology based on recommendations from friends and family. “Trailblazers” are tech-savvy, involved, and often have the income and time necessary to stay healthy. Lastly, “bystanders” are often apathetic about engagement solutions, and may not trust the healthcare industry for a variety of reasons. Each of these profiles requires a specific focus for healthcare professionals. An engagement strategy that might work for one population might not work for another, even leading to feelings of antipathy toward an organization. Instead, services should be offered based on individual values while still giving patients the leeway to make their own decisions about how to best manage their own health. In particular, trailblazers deserve some amount of attention because of their willingness to monitor their own health. This presents an opportunity to gain data based on the assorted applications and wearables that they may be using—and many are happy to provide. However, this segment consists of only 16% of patient populations, making proper identification critical. These are the patients most likely to find value in patient portals and mHealth apps—making up-to-date technology offerings critical for healthcare organizations. For other segments, a gentler touch may be necessary. Trailblazers are unique in that they are willing to try out less-established health technology. Conversely, prospectors may be willing to adopt, but only when tech comes with a recommendation. For these patients, care providers should strive to be knowledgeable about offerings and have reliable methods with which to educate patients about their potential options. That said, not everybody is going to be willing to engage or adopt new technology. 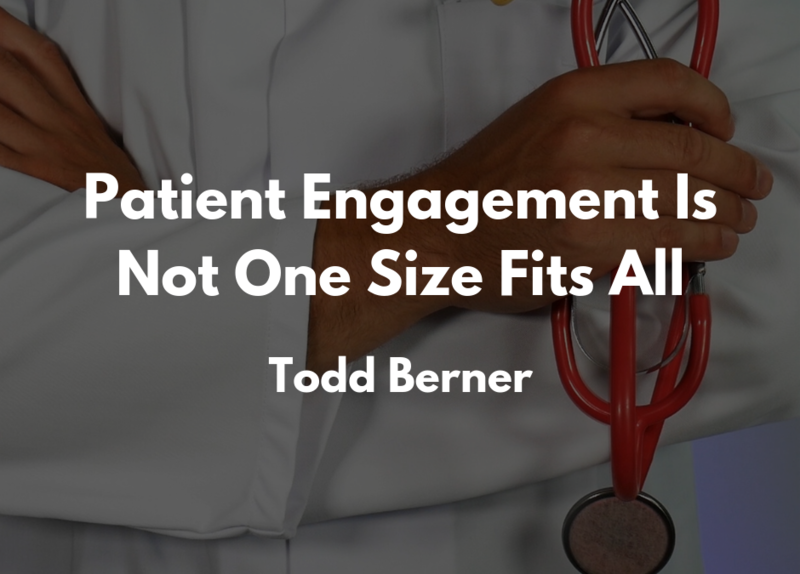 Whether this is due to financial concerns, more pressing lifestyle issues, or a distrust of healthcare, knowing how to nudge these populations toward patient engagement is valuable. Community partnerships can help reach these individuals outside of a traditional care setting and help address any determinants of health that might be souring relations in clinics or hospitals. Building trust in these communities can help healthcare organizations bring more people into facilities and have a positive impact on population health. Overall, patient engagement is less a question of technology and more a question of how patients prefer to interact with healthcare organizations. By properly determining profiles and engaging in a way that fits the patient, the industry can ensure that many have education and access to the health tools that they need.